Grill or broil corn to blacken the kernels a bit. Cool and slice from cob. 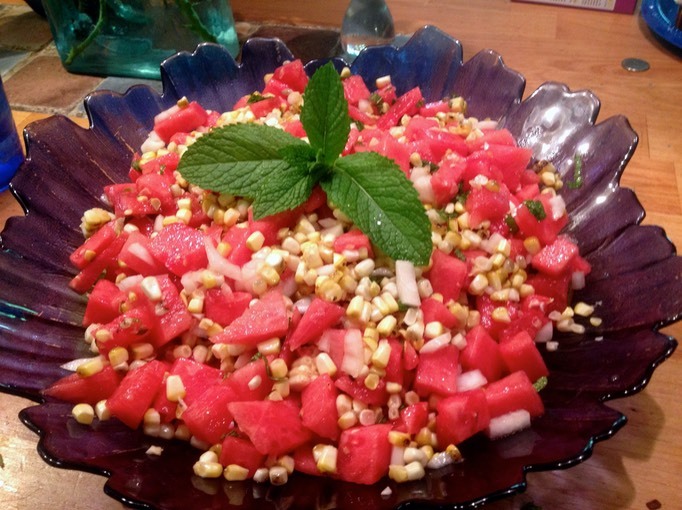 Mix corn, watermelon, onion, and mint in a large salad bowl. Place lime juice, olive oil, sugar, salt and hot sauce in a jar or any container with a top and shake it up. Taste for seasonings. Pour dressing over the salad and give it a quick toss. You can serve this immediately or store in the fridge for several hours. Enjoy!